After about 30 seconds at St. James’ Park tonight, Manchester City were 1-0 up thanks to Sergio Aguero. 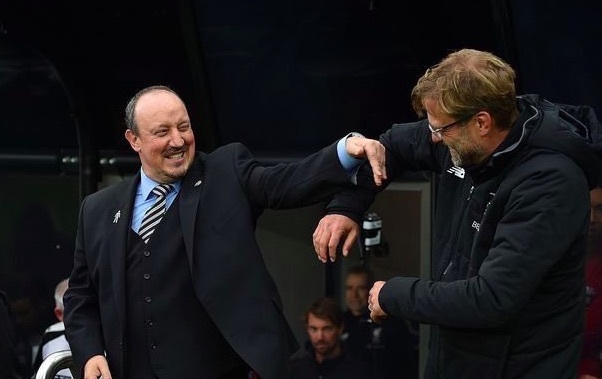 At this point, we thought there was absolutely zero hope of Rafa Benitez’s relegation battlers doing us a favour against probably the best the Premier League has ever seen. But miraculously, they did. Salmon Rondon got an equaliser, before Matt Richie bagged a late penalty to send Liverpool fans all over the country crazy. Obviously, we have to do our own job tomorrow against Leicester to reinstate the seven point lead – but the fact City lost will give Anfield an incredible boost on Wednesday. If we beat the Foxes, the title will be ours to lose with 14 games remaining. It’s scary, but it’s where we’ve wanted to be for a very, very long time. Rafa Benitez mate. When his backs against the wall there’s nobody better. I adored that man before tonight. RAFAEL BENITEZ YOU BEAUTIFUL MAN!!! !